Eagle eyed focus on food quality. Full traceability to a named herd for all meat. Calorie Counts on all menus, Organic Menus, specific menus showing full traceability of all ingredients. Menus guarantying locally produced ingredients. 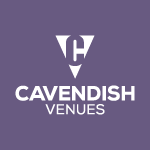 Perhaps because of this we at Cavendish Conference Venues have won the mandate to host major new conference is set to whip up new inspiration for developing and marketing foods for children, taking into account current trends, nutritional needs, and the hard business sense. Children represent a high potential market for food manufacturers. Although many kids are picky-eaters who are keen on trendy foods with appealing packaging or marketing messages, they do have specific nutritional needs to help development and learning. For food manufacturers aiming at this niche, it is a challenge to develop products that children want to eat, and parents and carers are prepared to buy. At the same time, childhood obesity is a pressing concern as some 55 per cent of boys and 70 per cent of girls are predicted to be overweight or obese by 2050. The food industry has been roundly criticised for marketing of products that are high in salt, sugar and saturated fat, and are of questionable nutritional value, to children. Even though some manufacturers have pledged more responsible marketing for products intended for youngsters, some campaigners believe more action is called for – and even regulation.